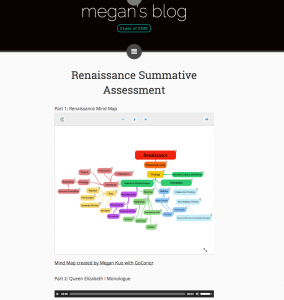 John Keisker owns this week’s tip of the hat with a fabulous integration of GoConqr mind maps onto his students’ websites. 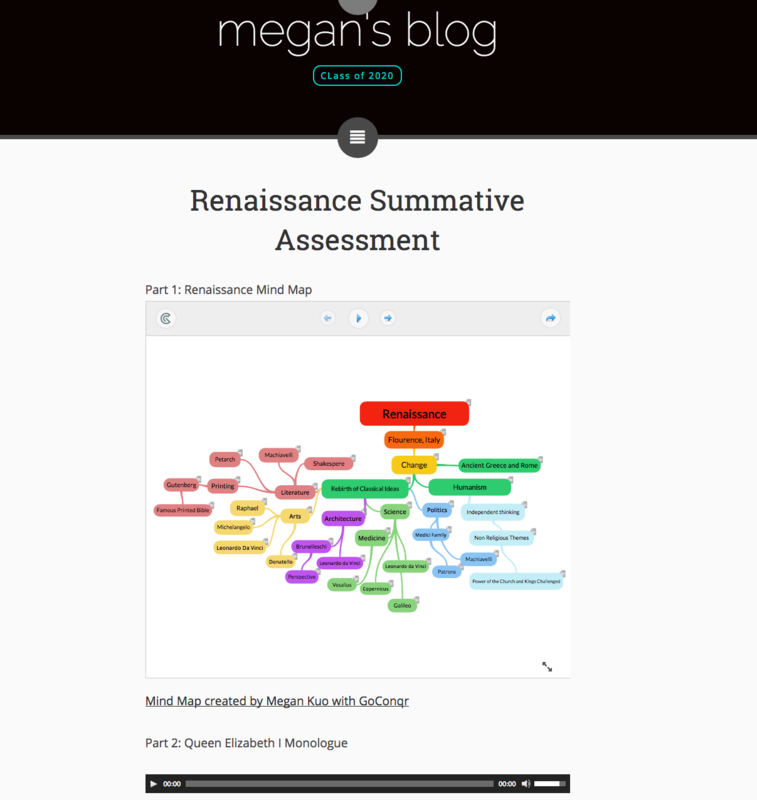 John had his students create mind maps as the MYP summative assessment on the Renaissance unit he is teaching. Students then use the simple embed code to include these into the digital portfolio. John has a solid reputation for putting his students through the paces when implementing technology into his curriculum. This week alone, besides having them embed mind maps on their websites, he also introduced them to OcenAudio, an audio recording app we have recommended here before.